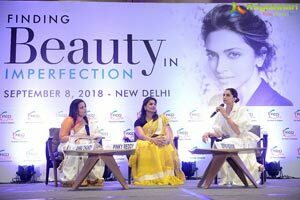 New Delhi September 8, 2018 FICCI Ladies Organisation (FLO), the women business wing of trade body FICCI organised a very interesting session with Deepika Padukone, one of the topmost actresses in India and recipient of several awards, including three Filmfare Awards here today in New Delhi . "At a time when everyone talked about depression in hush-hush tones, I did not shy away from opening up about her struggle with anxiety and depression. The 33-year-old actress made a that in early 2014 she woke up one day "feeling different" and felt a "strange emptiness" in her stomach It was during the shooting of her 2014 film Happy New Year strugled to get out of bed and it was at that time she consulted a psychologist." 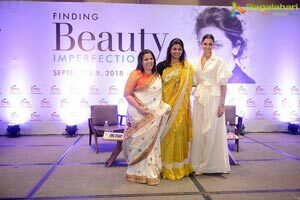 said Deepika Padukone while speaking at a disc discussion titled “Finding Beauty in Imperfection’ Deepika Padukne in conversation with Anna Chandy Chairperson of Deepika Padukone’s ‘The Live Love Laugh Foundation’, stood by Deepika’ s side while she battled with her mental health .The session was organised by FICCI Ladies Organisation (FLO) here today . "Honestly, it was difficult for me as I had very little idea about mental illness and the role of a caregiver. Coping with mental illness affects both the individuals and members of their immediate family. It was hard for me as there was not much information available. However, my mother came to my rescue. There were times when I felt helpless. Fortunately for us, my mother noticed something was wrong. We then approached a counsellor who is also a very close family friend and things worked out," said Deepika. "In the last few years, I have been vocal on issues of mental health and has asked people to seek help. In fact, I have established a NGO The Live Love Laugh Foundation to help people struggling with mental health issues and raise awareness about the same." She said. 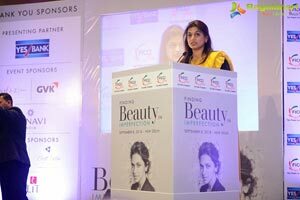 She shot down all questions about rumour of her marriage and future about her Bollywood movies . “FLO is the most apt platform to connect, learn and grow. We recognise the success stories of women who breaks all stereotypes and provide a platform for the members to be inspired by them. 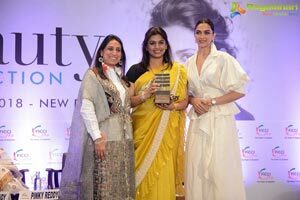 An immensely passionate and fearless woman, with grit and determination and an icon of inspiration for each one of us– Deepika Padukone is a real life hero and a winner in the journey of life. FLO salutes her indomitable spirit and unsurpassable courage”, Pinky Reddy added. 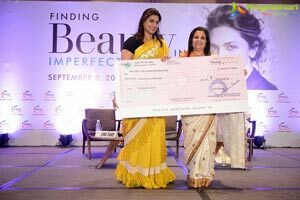 As a part of its activities, FLO brings together women achievers for interactive sessions on breaking through challenges, beating the odds, walking the pathways of courage and playing the role of inspirational role model for women around the globe.